I recently watched a QuakerSpeak video by Colin Saxton, the general secretary of Friends United Meeting (an international organization of the Religious Society of Friends) and was struck again by the wonderful explanation of the Friends’ belief that Christ dwells within each of us and is our spiritual teacher and guide if we allow it. The fractured nature of the Quaker community breaks my heart. If we truly believe that Christ is our teacher and guide why are we not listening to that inner voice? Why are we not living the testimonies that we claim? Fear and anger are the two most destructive forces within the human lexicon of emotion. The Bible says over and over again, “do not fear,” yet that is where we constantly take ourselves. Fear creates the feeling of being threatened by “the other” and human nature creates an overwhelming need to defend ourselves. This need to prove that we are right and the other is wrong has created the most damage the world has ever experienced. I have been a deeply spiritual person from my earliest memories as a child. My personal journey is marked with dissatisfaction with organized church; raised Lutheran, a short foray into a Full Gospel Student Fellowship, many years outside church, Methodist, and finally Quaker. Every time I have embraced a group and felt it might be a place to seek spiritual truth and find comfort and support, I have been disappointed, yet have never wavered in my knowledge that God is One. I know that people who attend church are sinners and flawed but I long—no, yearn—for a spiritual community that accepts and loves each other for who each person is, and for where they are in their journey. I thought I had found that in a Quaker meeting. 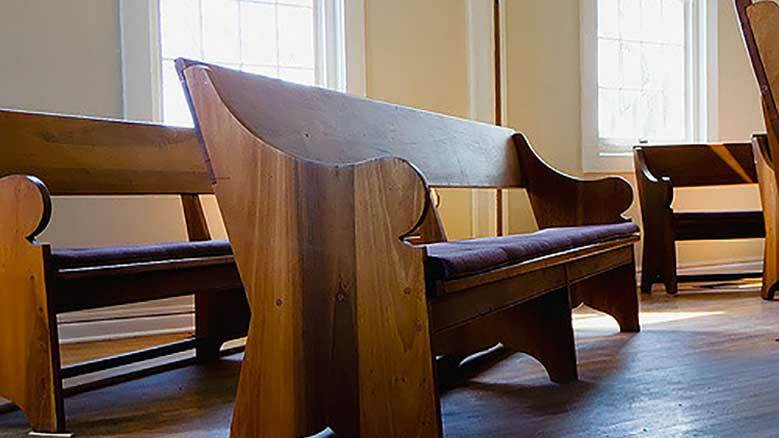 The writings of the early Quakers George Fox, Isaac Penington, Margaret Fell, and John Woolman spoke truth to me, and later writers did as well: Caroline Stephen, Thomas Kelly, and Rufus Jones caused my heart to soar. The people of this meeting greeted my family warmly and drew us into their embrace. We felt loved and wanted. We participated gladly in all activities and got involved at the yearly meeting level as well. I thought I had at last found my spiritual community and home. I knew I was more liberal politically and in some of my interpretations of scripture than the majority in this rural meeting, but I did not get the sense of being an outsider. I respected their opinions and spoke what was being revealed to me from my meditations and spiritual explorations as it seemed appropriate. I felt restless when the open (silent) worship portion of the service was often cut short to accommodate all the other things: special music, a guest speaker, youth skits, announcements. That space of quiet seemed to become shorter and shorter. But I loved these people, and if that made them happy, I would spend more time in silent listening at home. I sensed that sometimes when I asked earnest questions to learn why others believed made them uncomfortable. With a new pastor who was not from a Quaker background, things changed even more. The fear of the world and the way things are was emphasized and encouraged. The “end times” were discussed often and with great drama. I heard more negative tone in what was said about that awful world “out there” and how we must guard against it and keep our children insulated and isolated from its evil influence. We began to teach them to fear the world rather than to walk within the inner light of Christ with as perfect a love as we can muster. All educators were portrayed as secular humanists intent on tearing our children away from our belief in God (not necessarily the child’s; it was about preserving what “we” believe), and we must fear it and fight against this influence. It was insisted upon that the Bible must be taken literally (including the creation story which made evolution impossible and a lie instead of a wondrous work of God), and the interpretation of scripture must be the one preached from the pulpit and not from the ultimate teacher, the inner light of Christ (hence even the pastor doesn’t believe the Bible can be taken literally). The loss of my community came when I asked this pastor if there was room for me at this meeting if I did not agree with everything being taught. I was told I could stay if I kept silent. I was crushed. It broke my heart and still breaks my heart that so many Quaker meetings have either gone down this path and lost the original intent of what George Fox had revealed to him or have taken a path totally eliminating Christ in favor of political activism. Losing the corporate, silent listening to God left me isolated and alone, unable to be in this meeting any longer. I grieved mightily. And I grieve for our yearly meeting that is being torn apart, weakened beyond repair because the two versions of Quakerism appear to be irreconcilable, both sides digging in with intractable positions. This leaves me with no Quaker or spiritual home since I cannot participate in either option. I still have not found a spiritual community, yet I still yearn for one. I may never find it, and I am at peace with that. I am willing to continue my journey to experience Christ personally and honor the inner seed alone until way opens and God brings me into community again if that is what I need. I still read historic Quaker writings with awe at the authentic joy and peace experienced when centered in Christ and find inspiration there, but the reality of the Quaker meetings where I live do not reflect the depth of spiritual understanding of these wise elders. I do not see a middle ground in North Carolina. Our yearly meeting is dissolving. It is one of the oldest yearly meetings in the United States. We are as polarized as the political environment thus unable to help heal the divides and demonstrate the peace testimony. I am at a loss for where those of us displaced by this contentious battle are to go and unable right now to keep seeking. As I meet others in this situation, I pray that the light within will find a way to reach out, connect, and form new community even as the established community dissolves around me. It is curious when people say God and Jesus Christ are so divine, and their teachings so powerful and protective, and yet these folks often seem not to trust these teachings of trust and community to deliver them from evil. This is so very sad. The Quaker tradition, with all that it offers, should always remember that we are all ministers and that no one should be set above others. In our meeting in Loughborough (UK) we started with Julian reading from advices and queries encouraging all those who had an insight and a message to stand and share it with the meeting. Later Audrey quoted from the Yearly Meeting a few years ago about the realisation of god in everyone, Then Jacqui spoke about her difficulty in believing in God and David then talked about the theological debate of the late 11th Century which established that we could understand what was meant by a chair even if there were no chairs, and we know what we mean by God even if he cannot be proved to exist. This is a poor attempt to describe an hour of worship, of sharing, of being together as a Quaker meeting. It was wonderful. Please do keep the vision of the insights of George Fox as a guide. We must not lose the special insights that Quakers have and wish to share. I have great compassion for Friend Pruitt. I suffered a similar trauma in my unprogrammed meeting a few years ago. Friend Pruitt describes some unprogrammed meetings as having, “… taken a path totally eliminating Christ in favor of political activism. That characterized my meeting perfectly: There was no discernible spiritualism in that meeting — only political activism. After many years of working very hard for my meeting, I finally gave up. Since then I have given this situation a great deal of thought. I have concluded that very few people who attend Quaker Meetings these days have a clue what being a Friend is all about. Even worse, they seem to be not particularly interested in learning. It has been my experience that people who want to grow spiritually are probably better off not belonging to any religion. The vast majority of people who attend religious services do so for purely social and egocentric reasons: They are there to find comfort and support among people whose beliefs are similar to theirs. They exhibit little knowledge of or curiosity about their chosen religion. They are not looking for spiritual truth, nor are they interested in becoming more compassionate and less self‐centered. These people hinder spiritual growth. Not all Friends are found in Quaker Meetings. You’re better off without your meeting. You’re strong; you don’t need it. we can identify as Christ, but that finally is just a name. It is the inspiration that counts. but “Christ Jesus” — It was the experience of the Voice that changed his life. spiritual traditions — not just in “Christianity”. All these traditions are human inventions, including Quakerism. But there IS Something which can “speak to our condition” however we describe and define that experience. What counts is the experience, and the transformation that we receive from it. What we call it are just words — definitions which spring from our particular cultures: Allah speaks to the condition of Muslims, and many other names speak to other cultures. that any more than we call our experience Allah. But it is the experience, and the guidance, which count — not the theology. If we confuse the Name with the inspiration we have lost our way. I spend half the year with Mexican Indians — nominally Christian, but who still follow the Voice of the Sun. Mexican Indians believed, and many still do, that we humans must sacrifice ourselves in order to keep the planet in balance. And let’s face it: they aren’t destroying the planet. It is us “Christians” who are primarily responsible for climate change. and who may well continue to be so until it is too late. Listen to the Voice, and follow where you are led. The experience of Christ Love and the Son of Man who lived and taught 2000 years ago is not “just” a voice — it is a living reality. To state that Christ is simply a word given for an experience of a Voice because of the cultural context in which it was experienced, is a denouncing Jesus’ life and teachings as a folk myth to hundreds of thousands of Christians from the time of Jesus on up to modern times who have truly experienced the reality of the presence of Christ in their lives — it is not a self‐delusion — it is Truth! The problem with many Universalist Friends (I am a Christ Centered Universalist Friend) is that they have moved so far in the direction of formlessness that they have lost their spiritual identity. To state that Jesus is a real divine being whose spirit of truth dwells within every human heart does not mean that we negate other religions. The experiences of all religious traditions can be honored without denouncing the reality of one’s own experience. The most extreme of the “formless” position is the non‐theist Friends movement. A Religious Society, by the use of the word religious, implies Faith in Divinity, which to me makes the movement of non‐theist religious society of friends in actuality a purely secular humanistic social‐political organization having nothing to do with spirituality and the seeking of the truth therein. As for Christians destroying the planet, I think more accurately it is ultra‐materialsim — greed — and the backward selfish value system that is at its core that is destroying our planet. The non‐Christian world is rapidly jumping on this materialism plane so you are incorrect in laying this problem solely at the feet of Christianity. Albeit, Christianity is responsible for not living up to the Teachings of Love as presented by Jesus, complicit in the materialistic madness, but the religion itself is not the cause — it is the failure to overcome the selfishness rooted in our human‐animal nature and the lack of spiritualizing our thinking — loving one another, truly. I do not call myself a Christian because in my experience much of what Christianity teaches as doctrine does not align with my personal experience and leading from Christ — perhaps I am a Jesusonian. Like George Fox I trust in the guidance of the Light of Christ and not holy books, institutions, etc. Yes, Christ is the Voice within, regardless of the cultural garments that adorns the mind of the religionist — this is my experience of truth, and even though it runs counter to the universalist formless message, I assert that what is true is true regardless of the cultural lens of the mind. Your religion is The Voice, mine is the Spirit of Truth that is Christ and His Love … I honor you and your experience, please do not discount mine. It is about whether every human being is treated with dignity and respect as Jesus taught. It is about every human being having the same legal benefits, protections and rights. It is about recognizing the Light in every human being regardless of race, religion, ethnicity, gender, sexual orientation,and socio economic status. Until them, the divide that exists in Christian churches/ Meetings today will not heal. Young people see the hypocrisy. We are not Christ centric when we preach us vs them. It is all fear based. It is very sad and hurtful. Very well said Francis, I am not a Quaker as I am a “non joiner” — something within me demands I maintain my independence. I have admired the Quakers for years and studied their origins, coming to the conclusion that they embody the admonition of Jesus that we let no man stand between us and our Lord. In my observations over the years it appeared to me, within Quakerism, that “quaking” has been, for some, brushed aside as, perhaps, not acceptible or not politically correct. My grandfather used to say “You should dance with the one what brung you!” The quaking is that which summons the ecstatic state from which Quakers commune with their Lord! Bring back quaking to it’s essential position. Thank you for so eloquently sharing your experience. You shed light which helps to dispel fear. It takes time. Thank you Kate! I too have asked myself why we are spending less time listening and more time talking and explaining, when we come from a tradition of “on‐going revelation”. My own experience is with the unprogrammed tradition, but that doesn’t mean we can’t fall prey to the same problems. Who wants, for instance, to sit through a difficult meeting for worship with attention to business, when it runs into our already over‐planned Sunday afternoon family affairs. Did early Friends really mean that God intended Spirit to help us to decide whether to build that addition to the building? Really? Yes, really. Recently I was reading about Rufus Jones’ early life and found tribute to his family’s time spent in daily quiet listening and prayer, which established this for him as a lifelong habit. It has taken me years to develop this morning practice, after reading early Friends’ along with Buddhist teachings. As our culture pressures us to move faster and faster, it seems to me we would do well to move slower and slower in our practices as Friends. Ours is not a movement towards consensus. It is one toward unity. If there is no unity, it simply means God in God’s infinite wisdom has not spoken yet. It is Man who grows impatient with waiting, I believe, not the other way around. And perhaps, if God is still speaking, it is difficult to wait for the revelation when our own thoughts seem so pressing. This seems to be a problem in Quakerism world wide. Unfortunately there are restrictions on forming an alternative Meeting! I left a Meeting which was by its nature self‐destructive. Appreciate your words Kate. It has been heart‐breaking watching our beloved YM break apart. At the same time, I am hopeful that with the new reorganization — we can with the Spirit’s guidance refocus on our call to love God and love (all of) our neighbors. Pastoral Meetings in NC, who hire non‐Quaker ministers created the divide in NCYM FUM. Charlotte Friends, unprogrammed, left this YM about a decade ago. This is an opportunity for this Friend and others to seek out Meetings and Friends that speak to her condition. It is what it is. Time to move forward into the Light. I thank thee, Kate. It seems as if one of the requirements for letting the Almighty be operative within one is brokenheartedness. There seem to be many reasons why the organizations of our faith grow more important than the spirit that spawned them. There is some great hope that this sacrificial hope within us may outlast our need to have our own practices that do not allow HOPE to grow and thrive. “The fractured nature of the Quaker community breaks my heart.” The use of the word “the” in that sentence does not fit for me. I see what is happening in Indiana YM, North Carolina YM (both FUM), and Northwest YM (EFCI), and while I cavort and sometimes worship in their churches, these church entities are second cousins for me, not central to my community. Having studied for the LCMC ministry in the mid 1970s and going through the heresy battles there and slowly wending my way to Friends, I get that you must be crushed to have found a spiritual home and then watch it disintegrate before your eyes. But we have robust Quaker communities, communities where dogmatic orthodoxies are not forced on members and attenders. It is not that my YM, Illinois YM, does not have the potential to find fault lines; it surely can, most likely on matters of class, most certainly on matters of race and gender. In my MM we have many Christian Friends, non‐theist Friends, Seekers, etc. We bear one anothers’ burdens. My experience is that we tend not to let conflict fester often, moving into and through fear, into and through creative conflict. We are far from perfect. But we are not “the fractured nature of Quaker community” of which you speak. I have been called out plenty for presenting my experience of being a Friend as “the” things that Friends are or do. It is right to know that while there are serious problems in FGC Yearly Meetings, at least in some of them, your generalization is not apt. My experience in a liberal (FGC) unprogrammed meeting is very similar to Brad’s. The Light of the Spirit is our unity — not doctrines, not politics, not egos, not secularism, not sacred books. All of these are forms that are human in origin — good to consider perhaps. But the question we must ask is, “what does the Light within us say?” The Light IS the Light, be it introduced to us by Jesus or some other place. We know it when we know it. And IF we truly know it, it matters not if the theological language used by someone in our meeting is Christian, Taoist, Buddhist, or universalist. We will cherish these sentiments of Light (as Jesus himself did) for what they are. A healthy liberal Quaker meeting seems to get that. In my liberal meeting there are devout Christians who use Christian language and there are Buddhist or Taoist using eastern religious terms. And sitting with these are atheists or Universalist who simply bask in the Light (which is obvious to all in the meeting who observe them). How can this lovely situation even exist? It is due to our unity in the Light — period. We work hard to not devolve into the human tendency to worship forms, human leadership, bureaucracy, and our own egos. Both pastoral/Evangelical Friends and many unprogrammed Friends (liberal and conservative) have unknowingly placed an emphasis on these blockages to the Light. My experience has shown me that the less forms a meeting idolizes (be they pastors, holy books, “beliefs”, committees, Quaker tradition, and named leadership), the more likely it is that the Spirit will flow freely among Friends as it did among the very earliest Friends and the very earliest followers of Jesus. Those ancients relished the Spirit inspiring one among them (that the Spirit chose, by the way — not the “Nominating committee”) to be the tool to show the way forward on an occasion, and then another among them to be the tool on a different occasion. If you are willing to give up your idols — those within your meeting and yourself, you will remove the blockages that are hampering the flow of Light that is yours to be and your meeting’s to have. As I became aware that these practices were restricting me from developing my own relationship with the Spirit of God, I started learning about other ways of connecting. I have begun to realize that, like the spider, the web of my love and awareness of the Spirit comes from within, not necessarily from outside of me. As the years go by, I see that the voice within myself that encourages me to “treat others the way I would like to be treated” is the one to which I need to pay attention. I am not a Quaker though I am a seeker. Raised agnostic, born‐again convert in early adulthood, ordained evangelical minister of two decades, convert to (of all things) Roman Catholic Church only to arrive at seeker once again. A journey which most recently had me looking into Friends via the initial introduction to a Mennonite birthed, global peace activist group which includes many Quakers and on to watching every Quaker Speak video as they were published, reading many Friends Journal writings and other publications and even seeking out a Meeting locally only to find out it is essentially disbanded though it remains in he online listing of Meetings. Having read this article and each of the comments with care I come to the conclusion that Friends are yet another attempt by humans to touch and serve and to love the Divine, the very Christ Jesus, and he in others and is thus as thoroughly human, broken and deeply (oh our divisive nature) broken enterprise–broken in the same essential manner(s) in which all such bodies are inherently flawed for all its protestations otherwise‐/and thus the very best thing for me is not to try to move on yet again, to change containers again (an action I’ve never done lightly l and that has come at prounfly personal cost) rather but my best path is to remain in the broken container I am currently a part of, to live, as best I can, as fully as I am enabled, as authentically for Christ and “neighbour”. I shall continue to watch the videos released and to read Friends articles and to work alongside Fridnds as may happen and gone now is the hope, perhaps happily gone and freeingly gone a false hope, of finding community among Quakers. To be frank, why bother? There’s plenty of brokenness right where I am. There’s plenty of true faith right where I am. Hoping only the very best for all who call themselves Froends. I love the Quaker religion — from a distance — I am a NON joiner and this is precisely the reason why. What is happening, and has been happening in the Quaker church is a “reinactment” of the first 400 years of Christianity. It went from “followers of Jesus” to politicians running the lot, followed by persecution and ethnic clensing of those who dared to “go within for their own guidance” Has Iraneus reincarnated as a Quaker? Friend Kate. Perhaps if these words are held in the Light they may reasonate. The inshining Light itself in itself is sufficienct to cover your yearning for a gathering. I am the Light itself in itself and you are the Light and the Light is within us. In the Light which we own, we are a gathered people. This invisible gathering is not of the stuff outwardly established and set organization and institution. The Gathering is discovered within and it is all around you in everything you do throughout the day. In the Light itself in itself we are a gathered people and it is discovered unto us a different way wherein even the yearning for outwardly established community is laid down and we are come into the invisible gathered people. There are many outward teachers and elders who would lead us into the flawed outward notion the “we need established outward forms and leaders.” This notion all too often overshadows the inshining motion and impulse of that immanent Light that discovers unto us a different way contrary to the outward notions of many Quaker leaders whether they be from programmed or unprogrammed, conservative or liberal Meetings. In the act of turning our minds to the Light and holding to it and owning it as the source of our meaning, purpose, and idenitity, we are come into the sufficiency of the inshining Light itself in itself without regard for outwardly established organizations and those leaders who overshadow the Impulse within and pushed the sufficient Spirit of Christ into a corner. Those who are Gathered are come into and it is discovered unto us an inshining yearning for participation in and ownership of the Impulse of Spirit of Christ as sufficient in itself. Speak the Life itself in itself … “I am the Light and you are the Light and the Light is in me.” Speak the Name and own it and you are Gathered and the invisible Church of God is discovered to you; even when a spirit of a broken heart is upon you.. I am sufficient to heal your heart if you but own me within in all things and circumstances. In the inshining Light, your heart is healed and your yearning satiated; for, in the Light, you are already Gathered and among the Church of God. Kate, I don’t know where you are in NC. Youcan may he too far away to visit Jamestown Friends. I had similar experiences until I found a spiritual up e st Jamestown. Holding you in the Light. Are there too many words here already? I take comfort from the more positive evaluations of the possibilities of unprogrammed liberal quake meetings and the silence whilst recognising that the many varieties of Quakerism across the world also have much to offer as does some understanding of Buddhism, Sikhism, Hinduism, Islam, Judaism and even secular Humanism. God bless from this side of the Pond. Please take a look at Rachel Guaraldi’s website. I live WAY up in the mountains and it is a blessing to me.